There were 3 shops in operation; 2 based in North of Thailand and 1 in Bangkok. The latter being actually the feeder for the 2 upcountry shops. 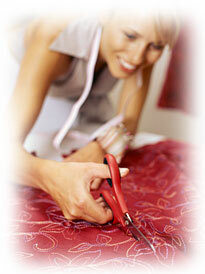 In 1969 started a tailoring shop alongside the retailing business. The whole framework turned out to be a successful in-house business. Success of this COMPLETE TAILOR SHOP drew attention of many people from different walks of life. Between 1974-75 tailor shops all over the city mushroomed, trying to imitate the TRUE PIONEERS of the complete in-house tailoring. We were not at all worried!! New Bangkok International had already stepped into foreign land to become truly international. By beginning 1980, our agents were already feeding us with orders via mail orders procedure almost everyday. They were coming in from Germany, England, France, Switzerland and Sweden initially. The popularity of our store started to attract many tourists business traveler through Bangkok and foreign expatriates living in Bangkok. The presence in our store became a usual sight. North America and Australia became aware of our tailoring expertise and existence; agents were also set up there likewise. More agents were pouring in orders from almost all European countries and locally walk-in western customers stormed our store daily. Overseas travel to study new fashion development became a regular occasion and contributed to be a very big successful part of the shop. 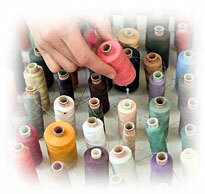 New updates of tailoring techniques were regularly deployed. In 1997 to accommodate the ever increasing number of customers, New Bangkok International moved to Sukhumvit Road inside Soi 7. With a working space of about 250 sq. meters, probably the biggest in the area of the prestigious Sukhumvit Road. A courteous and utmost respectful hospitality awaits all clients that walk through our door. Our front staffs and sales personalities with efficiency in 12 DEFINITIVE LANGUAGES will be more than glad to welcome you. 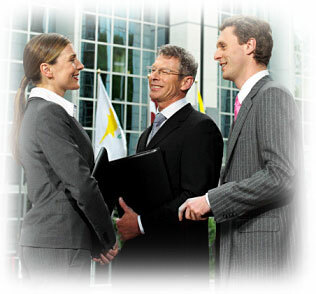 Mr. Raja, Mr. Bob, Mr. David, Mr. Krishna, Mr. Ramesh and other members of the staffs are looking forward to serve you. Today New Bangkok International trusts their reputation on 112 needle specialist, very careful and delicate hands that ensures each clients personal satisfaction.